A quiet time is just that—a special time that we have set aside to be quiet. It is a time that we have planned and set aside to be alone with God in silence, without distractions, for the purpose of developing a love relationship with Him. Accordingly, it is a time to worship and praise Him, to love Him, and to make ourselves available to Him so He can get our attention and speak to us (Read Exodus 3:1-4). It is also a time to express to Him what we desire, a time to show our dependence on Him. Jesus gives us the best example of what a quiet time should be. For Him it was mainly a time when He listened to His Father as a disciple. In Isaiah 50: 4 Jesus says of His Father, “He awakens me morning by morning, He awakens my ear to listen as a disciple” (NASU). I love that verse because it is what God does for me; He wakes me up in the morning! I don’t always listen to Him. And sometimes after He wakes me up I go back to sleep. But He is always faithful to the time. What a blessed and sweet Lord I have—to think that He actually wants to spend the time with me! This verse (Is. 50:4) tells us that Jesus had His quiet time in the morning; and we can guess that He got up quite early. At least in one reference, in Mark 1:35, the Bible tells us that He got up while it was still dark and departed to a lonely place to pray. But He not only had His quiet time in the morning. He was found in prayer at all times of the day and night for various reasons. Scripture indicates to us that He prayed especially long before major events. For example, at the beginning of His ministry He was led into the wilderness where He prayed and fasted for forty days (Matt. 4:1-2). 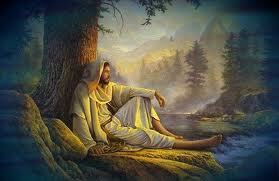 Likewise, before He chose His disciples He prayed all night on a mountain top (Lu. 6:12). He also prayed before or after tragic events. For example, after Jesus heard of the death of John the Baptist He went off to a lonely place by Himself (Matt. 14:13). Also, before His own death He desired to be alone with His Father in prayer (Matt. 26:39). Sometimes Jesus went off to pray by Himself when it seemed that He was most needed. Luke 5:15-16 records that when great multitudes gathered to hear Him and to be healed of their sicknesses He would often slip away to the wilderness to pray. Apparently, at times, He felt the pressure of the crowds and needed to get alone with His Father to be refreshed and revived. Or perhaps he just wanted to spend some time alone with His Father, and in so doing He also intended to demonstrate to the crowd that prayer with His Father was His main priority—that any other need no matter how big came second. 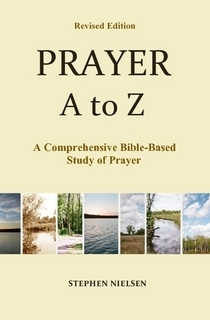 This entry was posted in Part 1-3, How to Have a Quiet Time, Prayer A to Z Excerpts, Quietness in Prayer and tagged Isaiah 50:4, Jesus Christ, prayer, quiet time, relationship with God, worship. Bookmark the permalink. How do I know that Is 50:4 gave a spark to my life? Because I have re read that verse more than 10 times. I am trying to get it correctly into memory, I have written it down on paper and most of yesterday after feeling tired most of the time in bed I have been looking at it. This morning I see some light coming from other portions of scripture. Really there is a word that sustains the weary. Even this morning I first wrote it down and James 2 became alive to me. Good to hear from you again. And I’m glad for the spark in your life. I’ll be praying that you get that verse memorized–it’s a good one. I’ll pray for your thesis as well and your teaching.